Mmm, chocolate! Well, sort of. 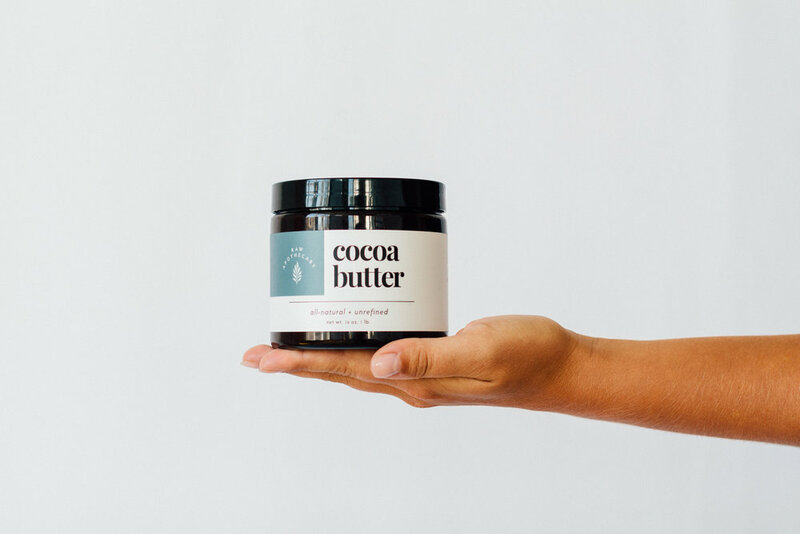 Cocoa butter is most certainly a part of chocolate, but it’s so much more than that. Cocoa butter is the butter extracted from the cocoa bean (and, you guessed it: that's it! ), and contains hydrating stearic and oleic fatty acids. These acids aid the skin in locking in moisture, without feeling too greasy. Who knew chocolate could be good for the skin? The reparative qualities of the fatty acids also aid in rejuvenating skin, and is commonly used to erase the appearance of stretch marks and scars. Try it on some of these ailments, too: Dry Skin, Eczema, Psoriasis, Sunspots, Wrinkles. Delicious chocolate aroma makes this our sweetest-smelling butter! Natural source of Vitamins E and K. Moisturizes without clogging pores and strengthens skin and hair. Improves blood flow, and protects against the damaging effects of free radicals.